Few steps to get quotes online. Get quotes fast – less than 2 minutes. Compare and get your property insured. Compare residential & commercial landlord insurance quotes. 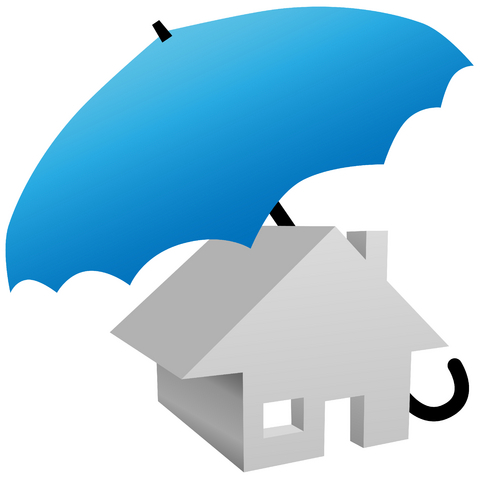 The comparison system can get you cheap landlord insurance cover from leading insurance providers in the UK. There are different types of landlord insurance, so what they cover will depend upon the exact type of insurance that you buy. However, this is a general guide that may help you get cheap house insurance and landlords quotes now. The bulk of the expense of your landlord insurance will be in covering the building and its structures. This will include fitted interior units and may cover the cost of replacement or repair should they be damaged in any way. This kind of insurance will usually cover Fire, Theft, Lightning, Vandalism, Smoke, Storms, Burst Pipes, Fuel Oil Leaks, Subsidence and impact from items such as vehicles or falling trees. These are generally standard situations in which your buildings cover will apply. Landlord insurance will also cover contents that belong to the landlord. It is important to remember that this insurance will not cover the tenants’ own contents, which should be covered separately in their own contents insurance. Landlord insurance is there to protect landlords not only against damages to the structure of the building and contents, but also against a number of other risks. This may include the cost of re-housing the tenant should the need arise, as well as covering loss of rent following damage to the property. What Does Landlords Insurance Not Cover? When it comes to the contents of your property the insurance usually only covers cases of theft where there was forced entry. This means that your tenants could decide to take some of the contents or fixtures of the property without any compensation for you. This is why it is important to have a sufficient deposit in place if your landlord insurance still places certain items at risk. Placing contents insurance on items, especially in a furnished property, can insure against any damage. Again this will not cover theft so your deposit is always important. There will typically be a number of other exclusions from your specialist landlords insurance which will vary from company to company. This could include the first few hundred pounds (or other fixed amount) of certain claims. Landlords policies may also not be suitable as home insurance for properties used for holiday lets, or those that are unoccupied for long periods of times. In order to benefit from all the cover then you will have to have a number of measures in place in your property. This may include a boiler that’s checked annually by a registered Corgi engineer, and proper measures in place regarding the structures of the building. Benefits of landlord insurance: ? It is important to remember that your property is an investment, but when you rent it out to tenants you are leaving it in their hands. Landlord insurance can help to give you peace of mind that your building and contents are protected. If you were not insured and your tenant stopped paying you rent, breaking your rental agreement, it may be very difficult to receive the money from them. When it comes to damage by your tenant you will receive compensation for how much it takes to replace or repair the item in question. It is up to you to shop around and find a landlords insurance plan that suits you, but there are usually flexible payment options available. Are you looking to take out a loan? LandLordBuddy.co.uk is owned by Mediamash (NI) Limited, who are an Introducer Appointed Representative of Seopa Ltd. who own and operate the quote system and who are authorised and regulated by the FCA, number 313860. We don’t recommend or provide advice on which insurance is the best for your needs, nor do we give financial advice on this website. If in doubt get professional advice and always read the policy information before purchasing an insurance contract. All insurance providers featured on this website are FCA authorised and regulated for business in the UK.